A few days ago I attend a fun preview party for a fine jewelry auction. 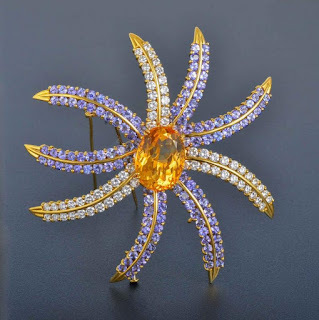 The auction house is Fortuna and they deal exclusively in jewelry so they have a selection of baubles that are from the creme de la creme of high end jewelers and fashion houses including Cartier, Van Cleef & Arpels, Tiffany, Raymond Yard, David Webb and Hermes. Because this was a relatively small (100 people), by invitation only, preview guests were allowed to try on the pieces including a rare 29.56 ct colored diamond ring. 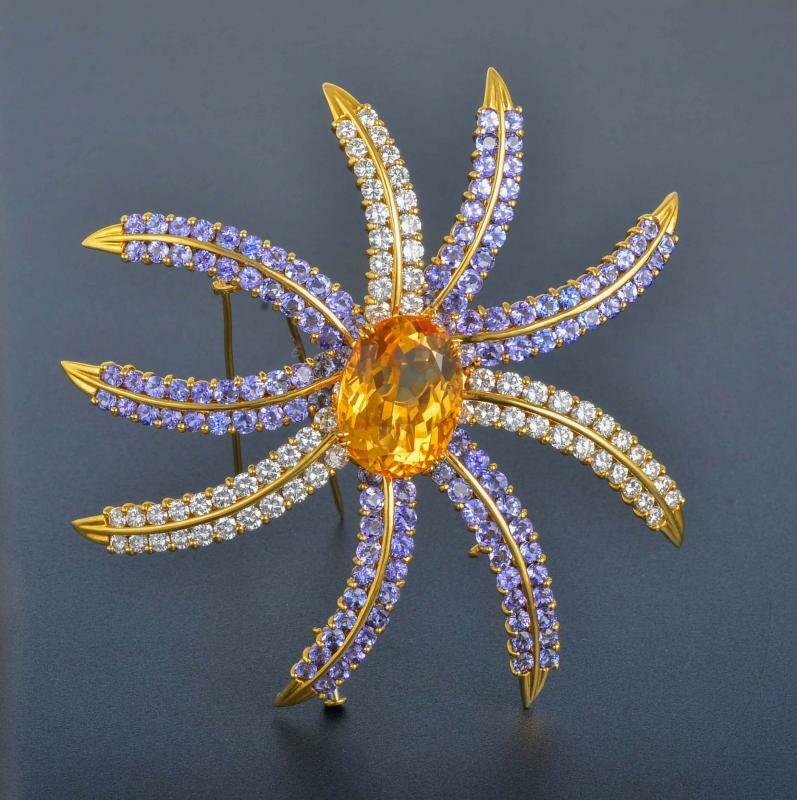 My favorite piece was a beautiful, colorful brooch that reminded me of a fireworks display. One nice aspect of both the preview party and the auction itself is that some of the proceeds go to charity. The preview party benefited FIT's Couture Council and the auction will benefit a variety of charities of the jewelry owners' choice. Only a selection of the hundreds of items were on display at the party so I logged onto the Fortuna site: www.FortunaAuction.com to see everything. There are some really lovely pieces and many of the opening bids are very reasonably priced, especially considering the high price of precious metals at the moment. The auction will take place on Wednesday, November 29th at the Fortuna showroom at 608 Fifth Avenue in NYC. More details are on the web site.